By Penry Price . Published on April 05, 2019. Consultancies have been creeping into agency turf for years now. But even in light of Accenture Interactive’s purchase this week of award-winning creative agency Droga5, the idea that they'll will wipe out ad agencies altogether has been overplayed. And what’s disproving that all-too-common narrative of recent months is the increasing success of smaller shops. In 2019, the ad business centers on offering a mix of data and creativity, and small and nimble agencies seem to do it best at—a lower cost. One of the bigger, obvious benefits of smaller shops is the efficiency that comes with having the entire team under one roof. The fact that people show up at meetings and actually know each other creates an irreplaceable sense of camaraderie among creatives, data scientists, product developers and measurement specialists. Having each important service in one place allows smaller shops to tell cohesive stories and win notable accounts. This advantage is how five-year-old Giant Spoon, with less than 200 employees, has already garnered notable clients, including HBO, Uber and HP. It’s also why Dentsu Aegis bought gyro in 2016. Gyro, previously known as a B-to-B specialty shop, has nabbed consumer clients, such as American Express and Fuji Film in recent years. 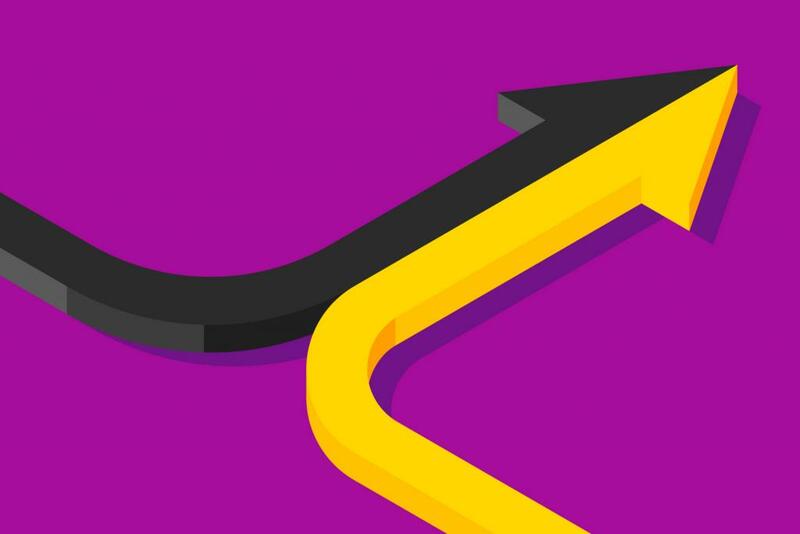 Accenture’s acquisition of Droga5, which made $200 million in 2017, shows the opportunity for smaller, more nimble agencies rather than signaling the end. The strategies of smaller shops actually mirror trends in the larger business world—the direct-to-consumer (d-to-c) retail upstarts and the ascent of over-the-top streaming entertainment, in particular. These emerging phenomena prove size doesn’t matter nearly as much today as speed and the ability to understand modern consumer behavior. For instance, d-to-c luggage brand Away settled on a price point in the middle of high-end brands and inexpensive suitcases while offering and Apple-esque designs. Away also leaned heavily on content marketing, which has propelled the brand to sell half a million suitcases in a little more than two years. Subscription contact lens startup Hubble, a seemingly overnight global brand, has followed a similar blueprint. And consumers love it: According to a 2018 consumer survey, one-third of Americans will complete at least 40 percent of their shopping with d-to-c brands in the next five years. Likewise, OTT, led by players such as Netflix, Amazon, Hulu and Twitch, have disrupted traditional broadcast and cable media in recent years. It’s hard to believe the market share that these digital platforms have gained when you consider they didn’t exist 15 years ago. They identified a market inefficiency—namely, ad-supported TV and uninspired original programming—and exploited it. We are seeing the same evolution happening with advertising. Smaller shops have established nimble cultures due to the all-hands-on-deck nature of startups and are figuring out how to connect the dots between creativity and digital. Those ideas underscore the reasons that it was smart for Dentsu to buy gyro, why Deloitte Digital bought Heat in 2016 and why it was wise for Accenture to scoop up Droga5. Historically, it’s not been easy for huge companies to change their business models to keep pace with consumer trends because of the financial interests of their Wall Street investors. But change is afoot as Publicis, Omnicom and the other major holding companies have been working—through digital transformation and acquisitions—to build the modern, cross-discipline and nimble services clients now expect. I give WPP CEO Mark Read, in particular, credit for what he’s doing—building, brick by brick, his agency into more of a collaborative environment by breaking down the holding company walls. It’s different than what Sir Martin Sorrell did at WPP. But even Sir Martin has his ambitious, acquisition-minded startup, S4, positioned as a more nimble company that leans on three basic tenets—data, buying and digital content. In other words, he’s building an agency that aims to seamlessly produce great work for clients while also growing his company. As Cannes Lions approaches, you can expect there will be plenty of chatter, as in recent years, around holding companies and large agencies sending fewer people. I don't think it signals that attendees and businesses find no value in the festival, nor does it suggest there are no clients to meet with at Cannes. Once again, it comes down to public companies focusing on the bottom line. Big agencies can no longer afford to send 200 folks to France and bill it back to the client like in the olden days. The largest advertising companies in the world have to think smaller. The Accenture-Droga5 marriage has made waves and may alter the scene, but it doesn’t represent a future devoid of ad agencies. The future will instead reflect what modern clients need—ad agencies that can move quickly. And there’s nothing wrong with that. Just ask the rest of the business world, where the money still flows but now races toward new kinds of businesses that are built on speed. Penry Price is the VP of LinkedIn Marketing Solutions.